The Charleston nursing home abuse and neglect attorneys of Nursing Home Law Center LLC believe that most cases of nursing negligence are preventable by ensuring that homes are properly staffed and have adequate quality measures in place. Unfortunately, many for profit chains have prioritized profits over quality and nursing care has suffered immensely over the last fifteen years because of it. To help raise awareness on common nursing care concerns and to help you avoid placing your loved ones in homes that have a recorded history of providing subpar treatment, we have compiled information on the lowest rated facilities in your area in the hopes that this information will help you make more informed decisions when deciding who to trust with their care. Medicare releases information to the public every month on all nursing homes in Charleston, West Virginia based on the data gathered through inspections, investigations and surveys. According to the federal agency, surveyors found serious violations and deficiencies at eight (67%) of the twelve Charleston nursing facilities that led to residents receiving substandard care. If your loved one was injured, abused, mistreated or died unexpectedly from neglect while living in a nursing facility in West Virginia, your family has legal rights. We encourage you to contact the Charleston nursing home abuse & neglect attorneys at Nursing Home Law Center (800-926-7565) today to schedule a free, no obligation case evaluation to discuss a financial compensation lawsuit. The city of Charleston is both the capital and largest city in West Virginia, with a population of almost 51,000 people. Roughly 225,000 people live in the greater metropolitan area, making the city a center for government, trade, education and power. The senior population makes up 16.1% of the total, which is a lot higher than typical; and with many more residents nearing retirement age, it is important to ensure that the elderly population has access to the resources and care they deserve. Kanawha Valley Senior Services provides numerous seniors with social programs, classes and physical activities to help them live longer and more active lives. Activities include daily lunches, ZUMBA classes, arts and crafts, Tai Chi, a walking club, Bingo and more. To learn more about the programs available and how to sign up, you can call (304) 345-9700 or contact the center via email at info@kvss.org. Our Charleston nursing injury lawyers have prepared the following list of nursing homes to help save you some time and grief if you are searching for the right place to entrust with the care of your loved one. All of the information we have provided is available through Medicare via the nursing home compare tool offered at https://www.medicare.gov/nursinghomecompare. We’ve focused solely on the worst rated facilities, so if you are investigating a facility not on our list, you can acquire similar information using the tool. Primary concerns: While this facility has decent quality measures in place, it is plagued with health and safety concerns. The reason a poor health inspection rating is reason for pause is that it means your loved one may be at greater risk of catching infectious disease, exposed to environmental hazards or not provided a clean living area. Primary concerns: The quality of care provided by this facility is so poor that it has received the designation of special focus facility. This designation means that the center has been cited on multiple occasions for subpar care and is at risk of losing access to federal funding through Medicare or Medicaid. The one star staff quality rating suggests that understaffing may be at the root of this center’s problems and proves that for profit nursing facilities should be held more accountable for failing to make patient safety the priority. Primary concerns: This facility received an average staff quality score but is failing greatly in the areas of health, safety and quality. Its one star health inspection record is the greatest red flag, but not the sole reason for concern. Primary concerns: Health and safety issues are the primary concern for this facility as well. It also implements subpar quality control measures and has a mediocre staff quality rating. Primary concerns: There is not a single area of assessment this facility has received a commendable score in. Understaffing, poor quality control measures and a horrible health inspection history make this a nursing home to avoid. Primary concerns: It is not common for multiple nursing facilities owned by the same chain to have reputations for providing poor care and this is the case with Golden Livingcenter owned facilities. This facility has even lower quality measures and staff ratings than its sister facility. When evaluating whether a client’s loved one is being mistreated, our Charleston nursing injury lawyers look for signs of recurring negligence. If you notice anything is “off” with your loved one, it is worth asking questions to determine whether he or she is not being provided the care he or she deserves. Any of the following can qualify as nursing abuse and deserve attention. Malnutrition or dehydration. 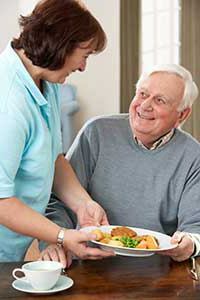 Understaffed facilities often have difficulty providing all of their residents with the care they require. This can include failing to provide residents with three meals a day and not making sure they are hydrated. Symptoms include sudden weight loss, confusion, lightheadedness and darkened urine. Medication errors. Staff members and doctors who are subjected to heavy workloads may be more prone to make mistakes and seniors are more likely to be prescribed multiple medications to exacerbate this concern. Most of these errors result in minor injuries or discomfort, but others can be quite serious. Verbal or emotional abuse. In an attempt to keep patients docile and from complaining, staff members may threaten, demean or degrade patients. If you notice that your loved one’s behavior changes in the presence of caregivers, something may be wrong. Bedsores and infections. Both of these conditions are possible indications that your loved one is not being supervised or attended to, and are easily prevented and treated. Physical symptoms of abuse. Sexual and physical assault are inexcusable acts and you should take action immediately if you notice any evidence of an assault such as bruises, marks and a sudden change in your loved one’s mood or behavior. Nursing Home Law Center LLC is a leading award winning personal injury law firm with a dedicated team of Charleston nursing home abuse attorneys who specialize in these types of cases. To learn more about how we can help you, contact us today to arrange a free consultation. If we are unable to help you recover compensation, our services will cost you nothing.